Today’s digital marketplace puts a premium on efficiency. Customers expect quick access to new apps and updates, while developers demand more productivity tools and control over data to do their jobs better. Although there are more cloud-based solutions for maximizing efficiency than ever, they have to be user friendly and secure to result in real advantages. Recent updates to Azure, Visual Studio, and the .NET Framework leverage cutting-edge machine learning and AI to maximize developer and enterprise efficiency, helping companies benefit from the latest technology while safeguarding data. Concerns about data confidentiality and control are why some companies remain reluctant to move their data onto the cloud. As part of our ongoing confidential computing efforts to protect customer data, even as it’s processed in the cloud, Microsoft has released several significant Azure updates. Spanning hardware, software, and services, these advances give companies access to the latest generation of Intel Xeon Processors with Intel SGX technology, a new family of virtual machines, and other development features. This is the cornerstone of our Confidential Cloud efforts. 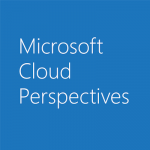 To learn more about Azure confidential computing, read the full post on the Azure blog. As applications continue to get more complex, coordinating code, locating bugs, and building updates become more time-consuming. To speed up this workload and decrease time to market, we recently introduced Visual Studio IntelliCode, which combines AI-assisted capabilities with coding best practices. As developers write software, IntelliCode reduces the number of keystrokes by recommending likely APIs, locating misused variables in real time, and automatically generating comments on other potential issues. Trained on thousands of public codebases, it can also recognize context and continually improve itself with more input. To read more about the preview of Visual Studio IntelliCode and to download an extension you can experiment with today, head over to the Visual Studio blog. Machine learning (ML) has the potential to dramatically increase efficiencies across platforms, but adoption has been slowed by the technology’s steep learning curve. The release of the ML.NET preview, a cross-platform, open-source machine learning framework that requires no prior experience developing ML models, is a game changer. .NET developers can now take advantage of ML capabilities such as text categorization, forecasting, and learning algorithms, which will mean significant workflow productivity gains. To learn more about the ML.net preview, read the full post on the .NET blog. We’re intently focused on innovations that make companies and developers more efficient and productive. Find out what else Microsoft has in store for making work in the cloud easy and secure at https://cloudblogs.microsoft.com.